U.S. homes sold at a faster rate in September than any other time this year, a recent report from the National Association of Realtors said. Evidently, sales of existing homes increased 2.4 percent from the previous month to a seasonally adjusted annual rate of 5.17 million. Experts are saying that this increase is a great sign that the housing market is picking up and moving past the slowdown that started in mid-2013. The sales rate has dropped 1.7 percent over the past 12 months. 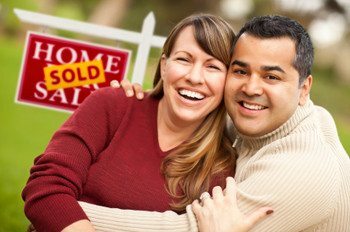 First-time home buyers comprised about 29 percent of all sales. This is below the historic average of roughly 40 percent. Median home prices increased 5.6 percent over the last 12 months to $209,700. September sales increased in the South and West compared to the previous month. Meanwhile, sales increased slightly in the Northeast and dropped in the Midwest. Nationally, the share of purchases by investors decreased from 19 to 14 percent year-over-year. The report projects that 4.94 million existing homes will be sold this year, down 3 percent from 5.09 million in 2013. Generally speaking, real estate experts say 5.5 million existing home sales is a healthy market. Meanwhile, housing starts increased 6.3 percent to a seasonally adjusted annual rate of 1.017 million homes, although much of that was new apartment buildings. Apartment construction has jumped 30.3 percent over the past 12 months, almost three times the rate of growth for single-family houses. Many Forces Are at Work to Create These Conditions, Analysts Said. For instance, over the last year, fewer investors have entered the market. Luckily, their pullback has been offset by existing homeowners who are moving up to more expensive properties or downsizing as empty nesters. Meanwhile, some would-be buyers have been kept out of the market because of rising prices through much of 2013, weak income growth and tighter credit standards. Experts are now predicting that the worst of the housing market recession is over but that the economy and housing market will likely grow in fits and starts. One development that might help with this growth is the fact that the federal regulator overseeing Fannie Mae and Freddie Mac is considering creating an option for lower down payments so more people can qualify for a mortgage. And because the average 30-year fixed rate mortgage dropped below 4 percent recently, experts are expecting more buyers to enter the market. For instance, online real estate brokerage Redfin said that only 44 percent of its offers in October faced bidding wars. This is down form a high of 75 percent in March 2013. Meanwhile, more homes are expected to become available on the market thanks to many investors’ plans to sell for tax reasons at the end of the year. So if you’ve been sitting on the fence about whether to invest in property, now is a great time to do so! We believe that knowledge is power and so we work hard to provide you with the most accurate and up-to-date information on the national housing market. Hopefully you found today’s report helpful! Check back here soon for more valuable insight on the recent trends on the national housing market and how they may impact your efforts as a buyer or seller!